Anyway! So I was telling my friend that the bulk of my maternity wardrobe came from Old Navy and Gap. If you've followed me at all over the years, you know that I've had an unnatural obsession with maternity clothes long before ever getting pregnant. I bought a lot of things on clearance over the years, in anticipation of getting pregnant. And then that didn't happen when we thought it would. So a lot of those items went to ebay when we needed cash. Though I kept a select few favorites. I became very familiar with what all was out there in maternity world. I had my eye on collections like Isabella Oliver and drooled over designer maternity jeans. But... of course, by the time we finally got pregnant I was all *budget conscious* and frugal. The idea of spending $150 on jeans now makes my stomach turn. Some day, sure... but that's just not where our heads are at right now. So all that to say, I ended up with a stylish, yet very affordable and practical maternity wardrobe. Tanks, of course. I had a whole array of tanks, but these from Old Navy are the BEST. And stupid cheap. Get every color!!!!!!!! The length is prime as well. You really need that extra length when the belly takes over. A lot of my other maternity tanks were worthless once I got really big, but these kept me covered and looking good all the way through. And I still totally wear these. As long as they're not the ones with ruching on the side seam, you cannot tell they are maternity tanks when wearing them. So that makes them an even better buy. I have several of the other tanks from ON, but this particular one is by far superior. Other must-have's from Old Navy are their leggings and yoga pants. 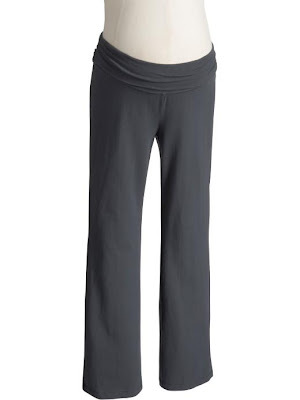 I'm a big fan of their yoga pants to begin with, so it was a no-brainer for me to get the maternity version. And truthfully, you can really wear the "regular" ones while pregnant (and I did), but I love the fold-down waistline on the maternity version. 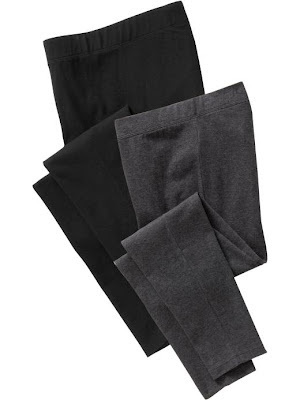 Plus, they wash nicely and hang so well that they really can pass for dress pants at work if your office is on the more casual side. I totally wore these two or three times a week to work with cute flats and a cardi! The leggings also are a must. I had several pairs of maternity leggings and the ON ones were most comfy. Great under a tunic or shorter dress. I'm totally wearing some right now. Another item that can go beyond maternity. Note the waistline on these (see link above)... I only liked the "demi" type waist. I couldn't stand any of the full panel types. I never liked having anything tight over my belly - just my personal preference. Also found at Gap... the BEST. WORK. PANTS. EVER. Just as the name suggests, these pants are perfect. Love the fit, love the waistline, and LOVE that they come in lengths (as do their maternity jeans). Who else does that? No one as far as I've seen. Maternity slacks I've found at other places are awful. Like horribly huge full panel waistlines, cheap material, and unflattering cuts ...bleh. Hated those. Chalk up the extra bucks and get these. I just got a basic black pair, but they come in other colors and prints. So those are the few basics I would buy again and again. I of course had some dresses and various tops from a mix of places. I mostly stuck with Old Navy for basics (their tees are also great), but they also have a lot of fun trendy tops and great shorts and pants for casual wear, too. 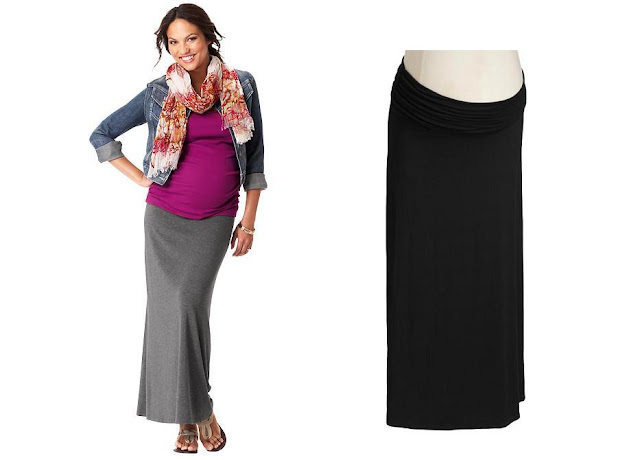 I wasn't impressed with their selection of dresses for fall/winter pregos, but they do a better job with spring/summer. I found Gap to be the better bet for dresses for fall/winter. Both of my nicer shower dresses came from Gap. The biggest thing to remember about these two stores is that your best bet is to buy online. 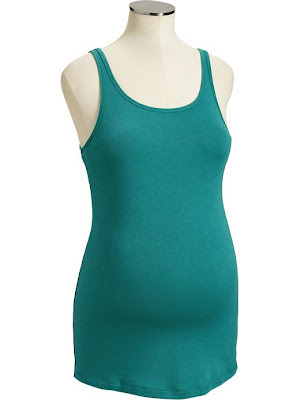 Old Navy especially has the bulk of their maternity collection online - many styles, most actually, are not sold in stores. Very few ON stores carry a maternity selection anyway, but even those that do are very, very limited. Some Baby Gap stores sell Gap Maternity. In Atlanta, your best bets are the ON stores at the Mall of Georgia or The Forum (Norcross) - The Forum being the better of those two. For Gap, the Lenox and Northpoint stores have the best selection that I've found. But again, I did most of my shopping online. Not only for more selection, but for better prices. When I was jean shopping, I tried a bunch of stuff on at the Gap store, but then went home and ordered everything I found online. The retail stores do not honor the online prices or discounts, so check both! If you don't already get Gap and ON emails, sign up. Because literally, they send out discount codes for 25% or 30% off like every other day. Never pay retail! And, another bonus - all Gap stores (Old Navy, Banana Republic, etc.) have their sites linked so you can pick items from any of their stores with one single transaction. Just remember that discount codes usually apply to items from one single store (though you can stack them at checkout). H&M also has a maternity line, but I never looked. Wanted to, just never got around to it, so I can't really speak for that collection. But I'm sure it's trendy and affordable! Worth a look. A lot of people swear by Motherhood Maternity. I went in there a couple of times but never found anything worth getting excited about... but that doesn't mean you won't. So check that one out, too. They also have outlet stores where you'll find items for all of the Destination Maternity stores (A Pea in the Pod, etc.). And of course there are the trendy maternity boutiques around town selling designer jeans and $200 tunics. Yeah, I skipped those. So my wardrobe was pretty simple. And I must add that I also had wonderful friends who loaned me some great pieces, too! Definitely spread the love and share with friends. I also snagged several dresses and tops from a clothing swap a while back, so that's a good way to do it too. And don't forget thrift stores! Splurge on a few items for showers and parties, but there's no reason to spend ridiculous amounts on a maternity wardrobe. It's easy to look fabulous on a small budget. God willing, we'll be blessed to be able to do this all again someday (and no, I don't know when just yet!). So what are YOUR maternity must-have's? Please share! I agree about the Gap work pants... I wore those every single day and loved them. I couldn't stand anything on my belly and loved the demi panel too. I agree about Gap! I did have trouble using coupons in store several times. You should add Macy's at Lenox to your list. They carry Pea in a Pod and Motherhood with several racks on clearance. I had a hard time finding cute dresses and got a few from Macy's. I need to get more Old Navy next time!